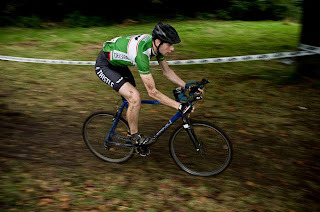 Scottish Cyclocross Association: Ridley Scottish Cyclocross Series Round Three information. Ridley Scottish Cyclocross Series Round Three information. 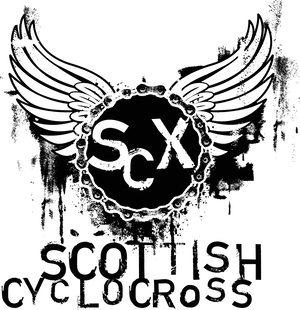 Ridley Scottish Cyclocross Series Event 3 - Knockburn Loch, Deeside November 3rd 2013...preview. Deeside Thistle will host Round 3 of this year’s Ridley Scottish Cyclocross Series at Knockburn Loch, by Strachan, on Nov 3rd. The six race series, sponsored by Ridley, Lazer and Madison, will hold events all over Scotland this Winter. Knockburn Loch is the country's only purpose built cyclocross course, with a fast loop around the loch, steep climbs, a sand pit and natural banks and a twisting single track section through pinewoods. The unique layout of the course allows spectators to view almost the whole race from the start/finish area, while purpose built changing rooms, on-site catering and bike wash facilities are available for the riders. Action kicks off just before 10AM with an Under 8’s race on a specially designed course - racers will range from tots on balance bikes to racers from all of Scotland’s big cycle clubs. A separate race for Under 12’s follows, before longer races for Youths, Women, Veterans and Juniors, with the final race (Open Seniors) starting at 1:30PM. If you would like more information on how to enter, contact Gordon Watt or visit the Deeside Thistle website. Very limited places will be available on the day, and the organisers advise pre-registration, as this year’s Series events have been over subscribed. This race weekend is a must do for anyone who wants to take on a true, purpose built cross event. Please get in touch with to boys and girls who promote cross up north, and show your support..